I was recommended this product for Cordovan shoes when I visited NYC’s Leffot last May. Up until then I’d been reluctant to use any products on Cordovan; just a slightly damp cloth and lots of elbow grease. There’s a great fear with Cordovan that you can ruin the surface with normal polishes as they cover up it’s natural lustre. This stuff however is perfect. The mink oil feeds and conditions the leather and brings out the shine of the surface with half the effort of buffing without product. And the shine lasts just as long. 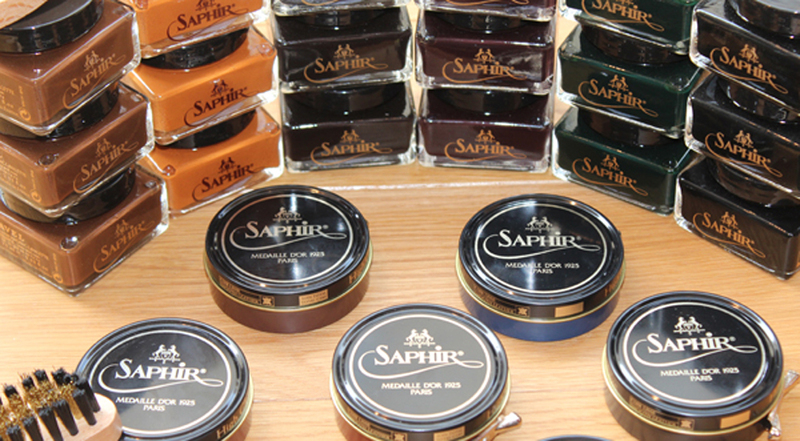 Saphir also produce a specific Cordovan cream which I’m curious to try although I’d only ever buy the colourless version. That said, when I quizzed the guys at Leffot about any other products (even Alden’s own Cordovan Paste) they reassured me that Saphir Renovateur was all I’d need, and it seems to have done the trick so far. I also use Renovateur on calfskin shoes, though it doesn’t quite bring the shine up on this type of leather like ordinary polish, it does help condition it to keep it supple and healthy. This entry was posted in Accessories, Footwear and tagged Cordovan, Leffot, Saphir Médaille d'Or Renovateur. Bookmark the permalink.